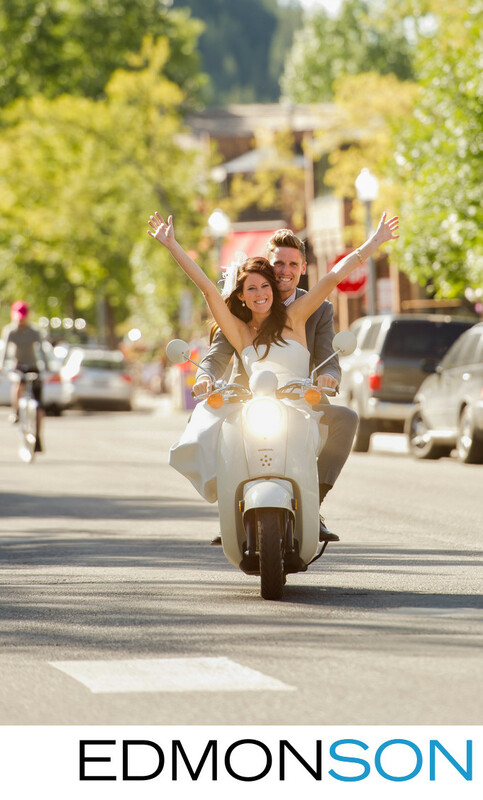 After their Little Nell wedding ceremony in Aspen, CO, the bride & groom rented a Vespa for some fun wedding photos downtown. Wedding coordination by GRO Floral & Event Design. 1/500; f/5.6; ISO 400; 200.0 mm.